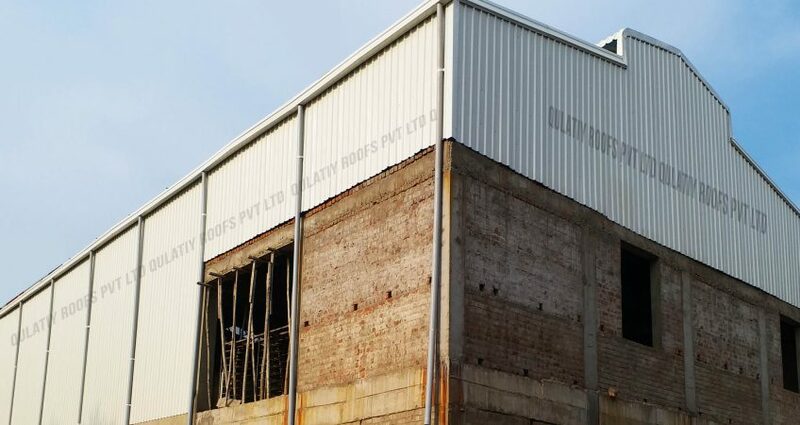 Metal roofing system require minimum maintenance and life is more than 25 years but other asbestos , Frp and other PVC sheets can require re-roofing every 7 to10 years, In hot weather, the ultraviolet (UV) rays will be weakening the PVC , Frp and Asphaltic roof sheets. A metal roofing system will not weakening even adverse weather condition. This Metal roofing system are coming various colours and customized size and this also very cost effective compare other roofing sheets. Across the all over India, there are many different regional preferences of Metal Roofing system, depending on the climate and architectural style. No matter climate or style, you can find a metal roofing to match your requirement, for example somebody like kerala style Metal roofing they will plan to lay decorative tile profile metal roof sheet then others like plain and simple look they will plan to lay trapezoidal metal roof sheet. This Roofing system can be possible to do for Industrial Roofing, Residential Roofing, Terrace Roofing, Ware House Roofing etc., because this type of roofing system will be less time consuming compare RCC roofing system. Well Knowledge and skilled Roofing Contractors can be completed the 1000 sqft area within 3 to 4 days. it can be dismantle and refixing from one place to another place very easily. Normally Metal roofing sheets are available 0.35 mm thick to 0.50 mm thick, Available length – any length up to 20ft and two types of Metal sheets are available like PPGI (pre painted galvanised Iron sheets) and PPGL (pre painted galvalume sheets).